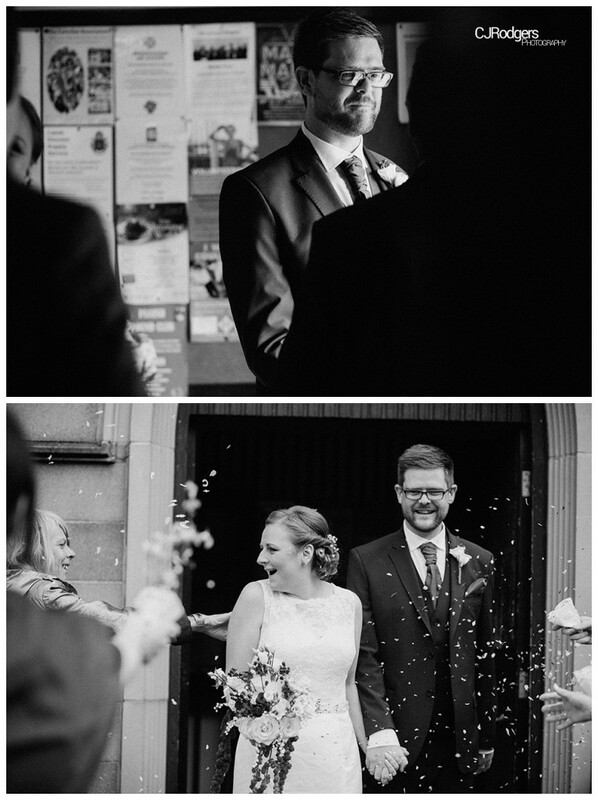 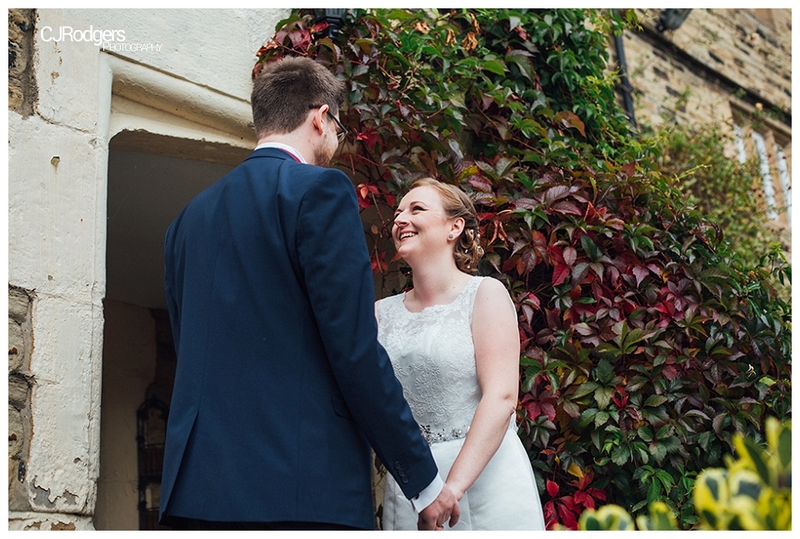 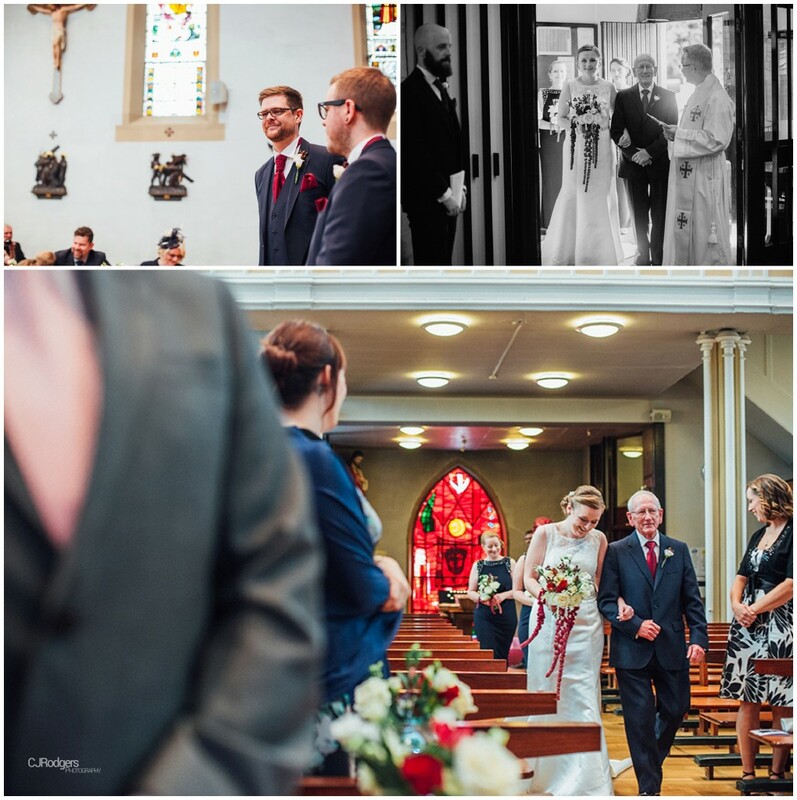 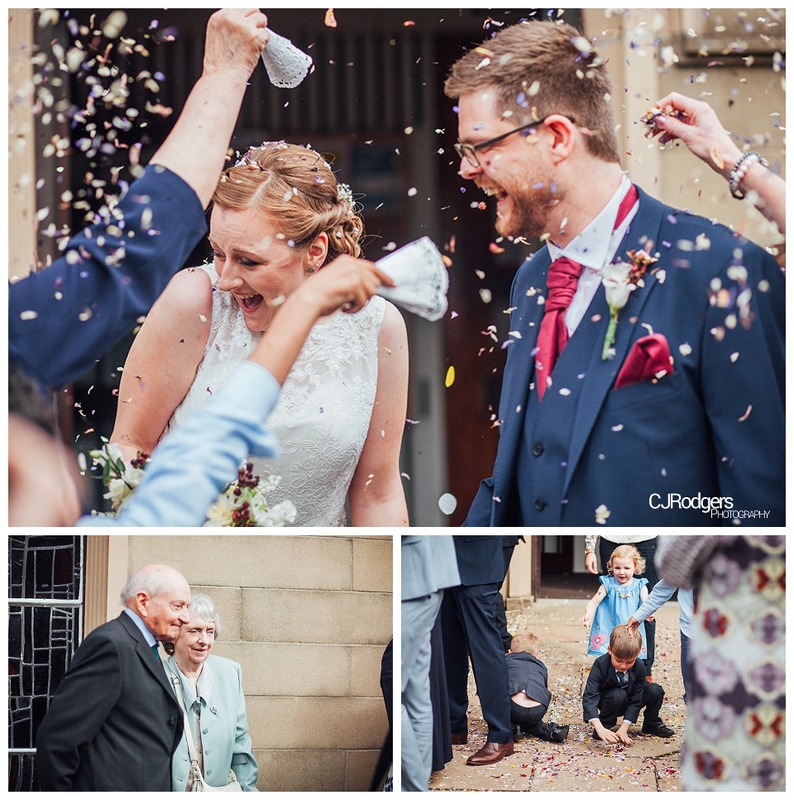 Huddersfield Wedding – Kat and Sam were married one Saturday in September at the wonderful St Patrick’s church in Huddersfield. 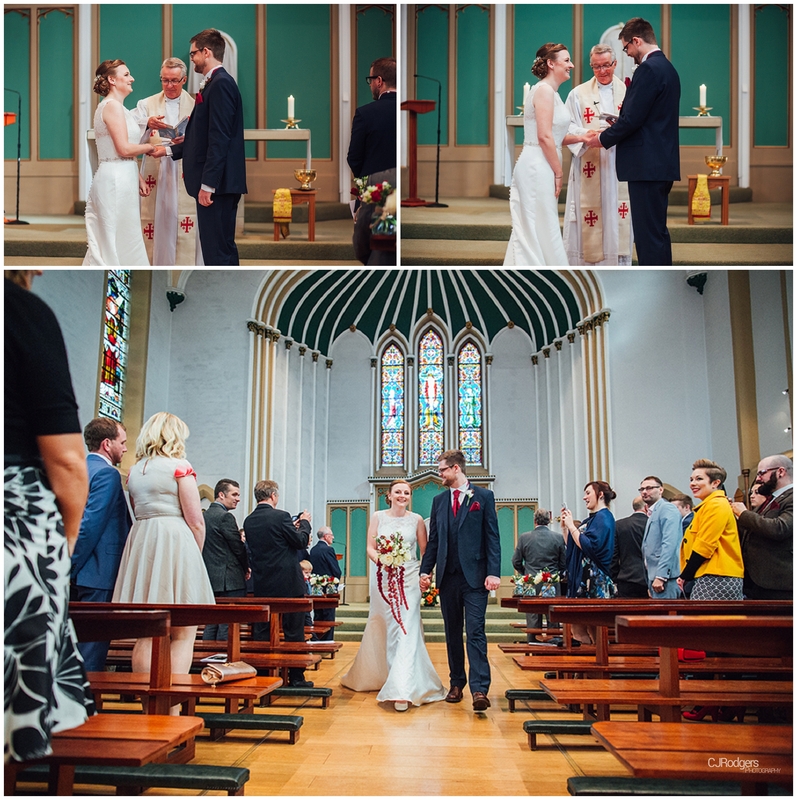 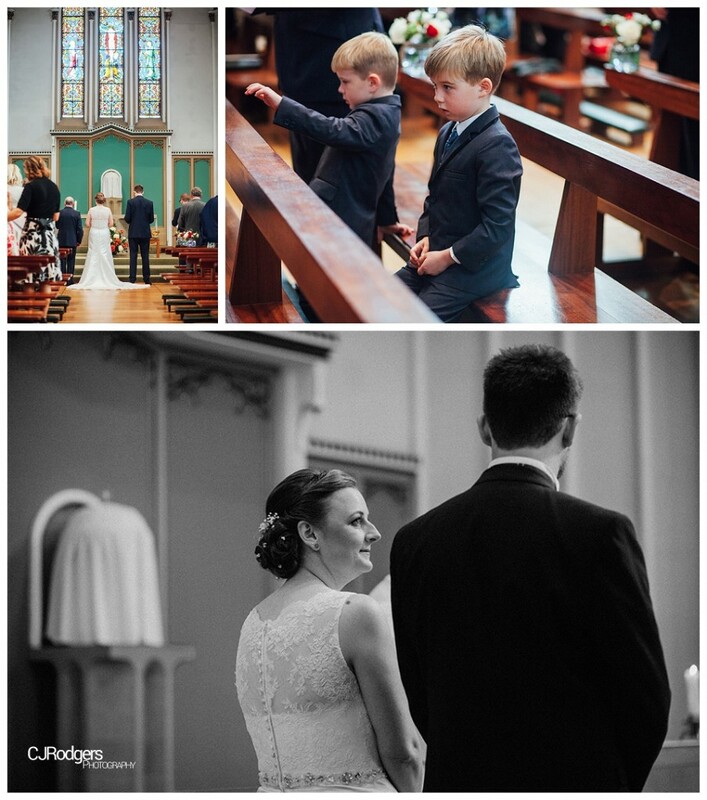 This was a super fun wedding with lots of special moments throughout the day. 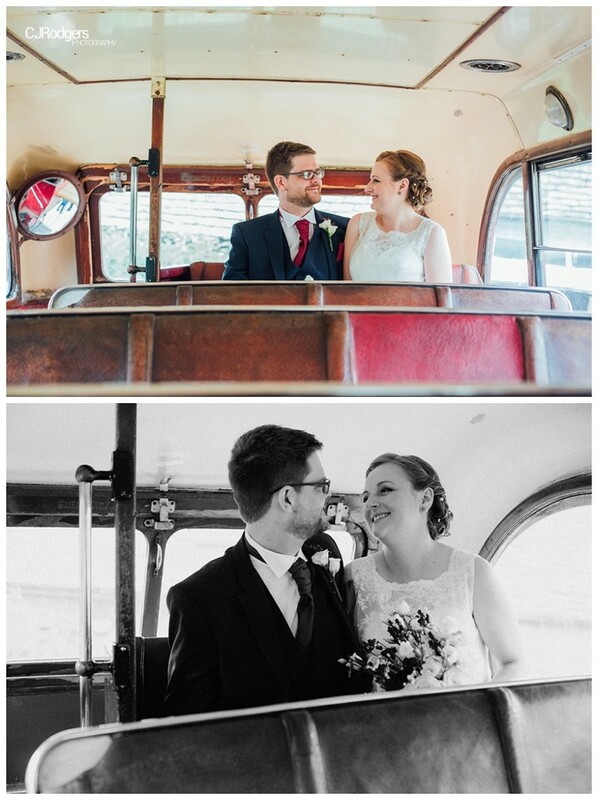 The bride’s family and bridesmaids arrived on a bright red, vintage bus and so we got reacquainted with Kat and her girls on the bus for some quick photos before the ceremony. 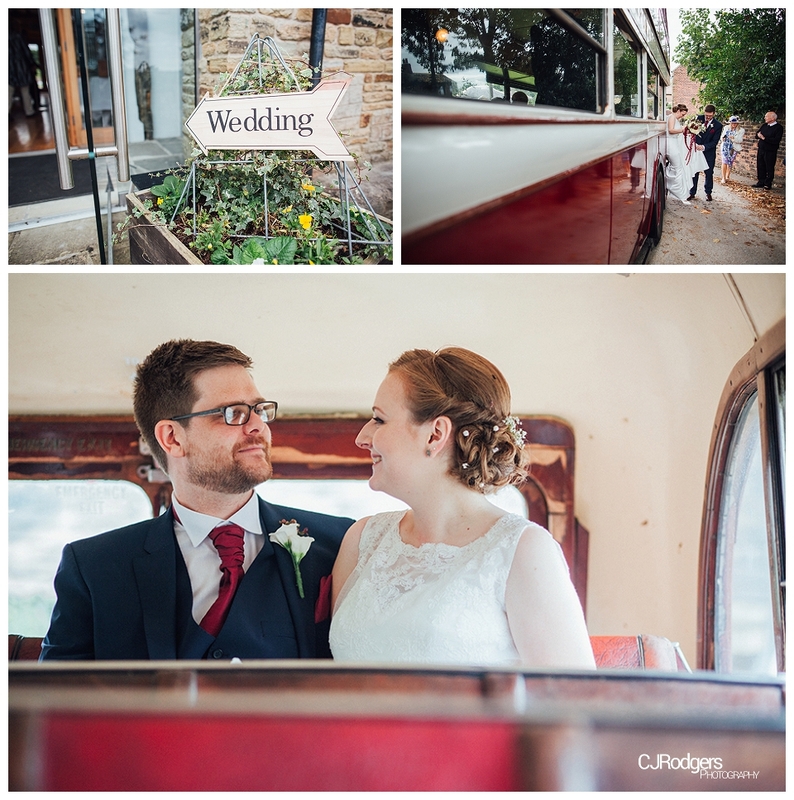 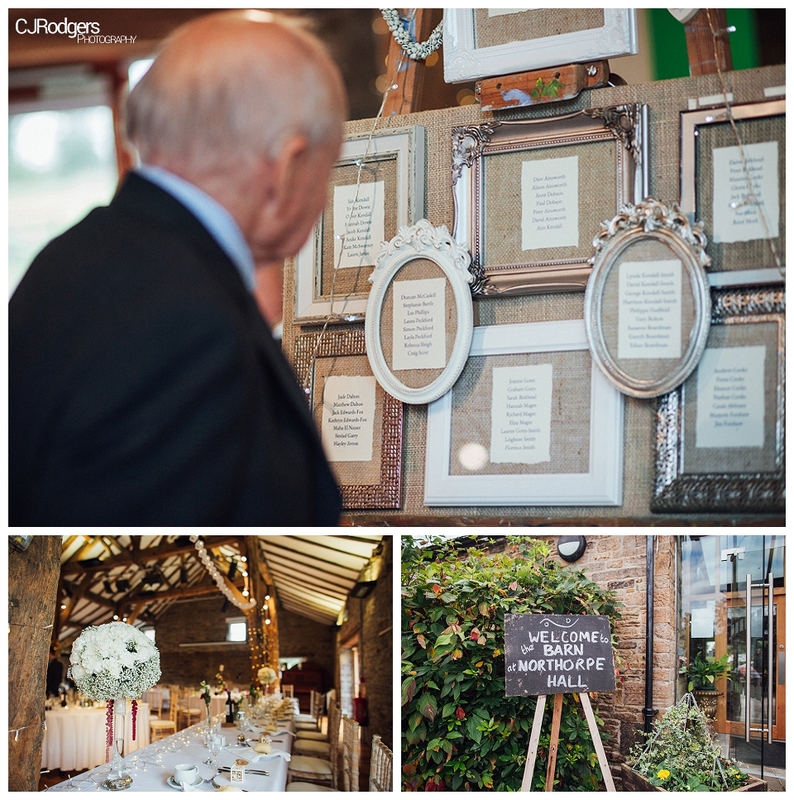 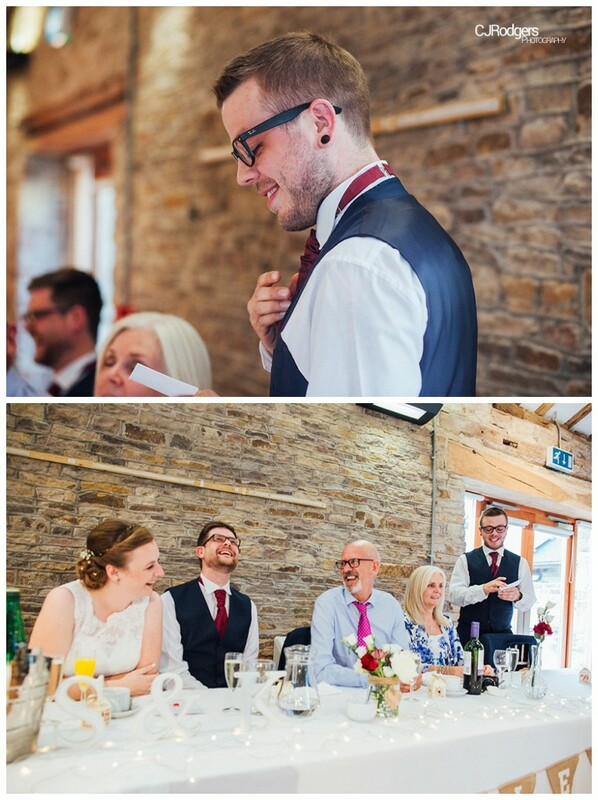 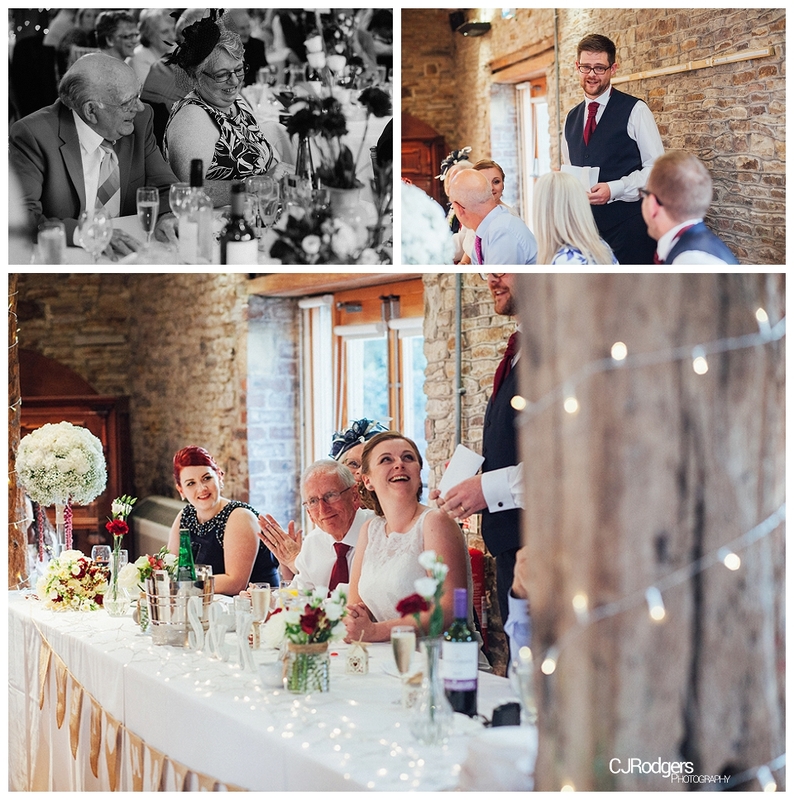 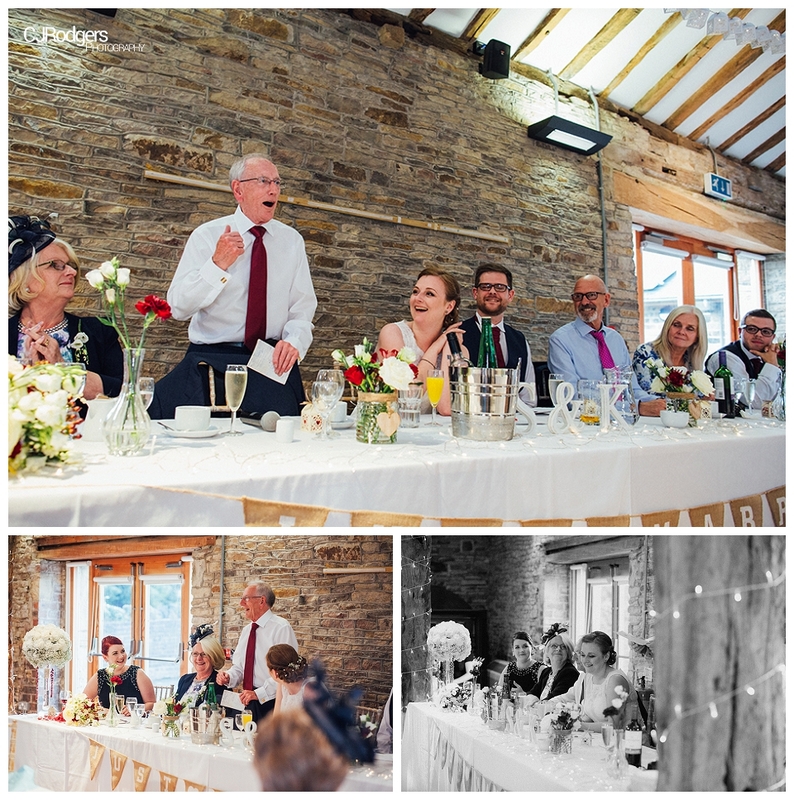 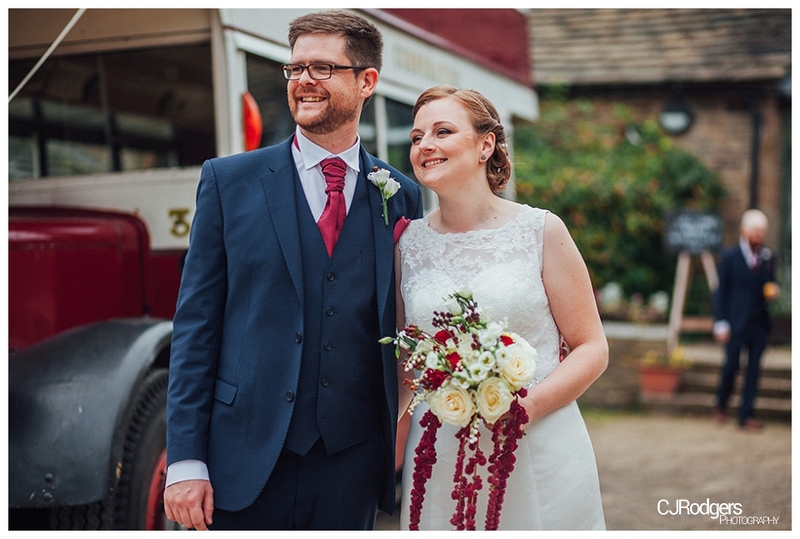 After the ceremony the bridal party and wedding guests hopped on the bus to their reception venue – Northorpe Hall, a beautiful charming venue with a real rustic feel. 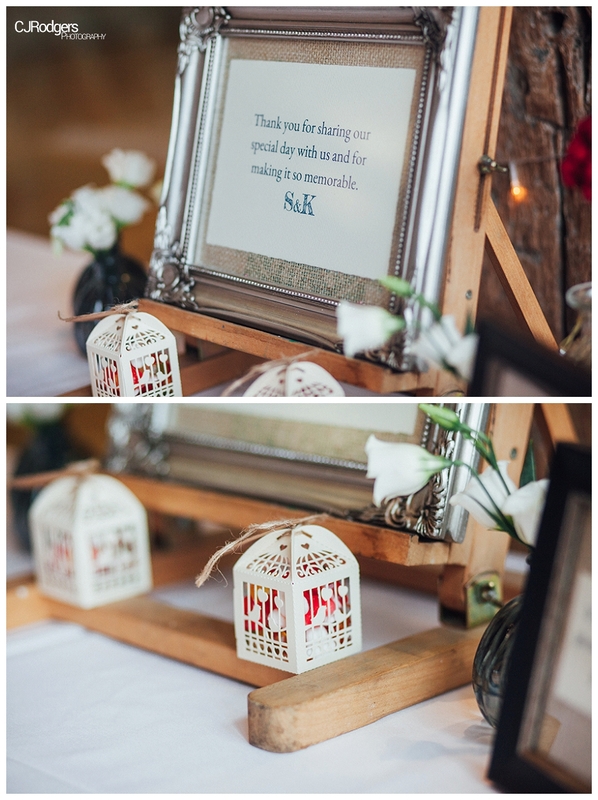 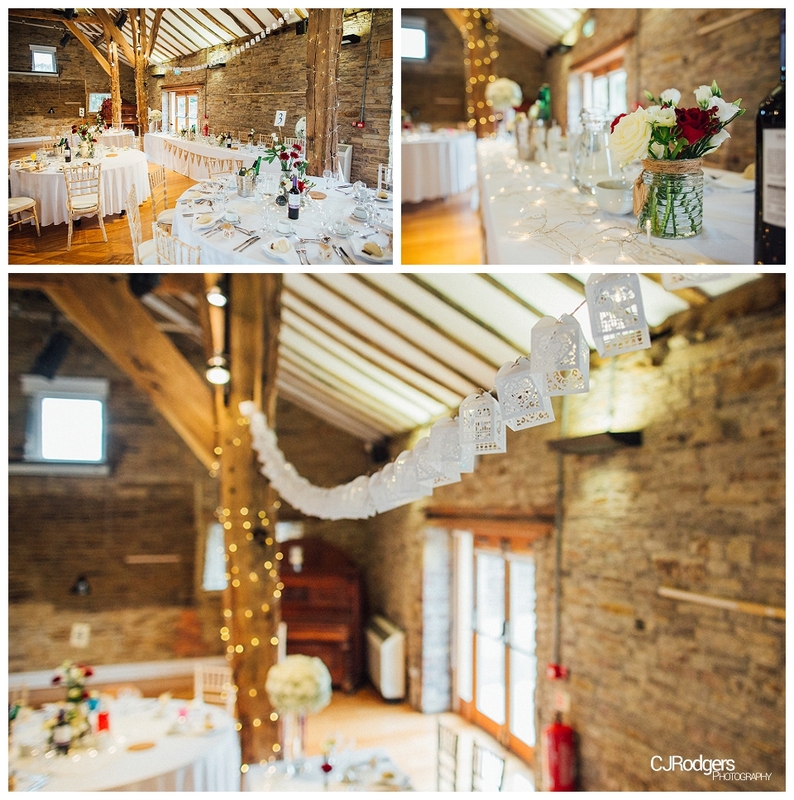 The barn was decorated with fairy lights wrapped around the beams and pretty paper lanterns hanging from the ceiling. 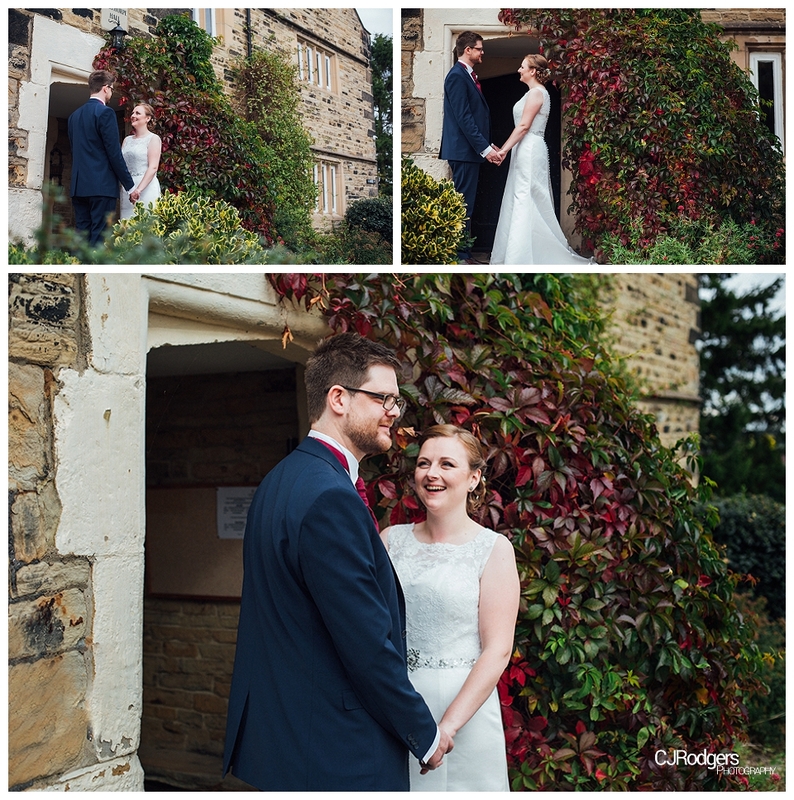 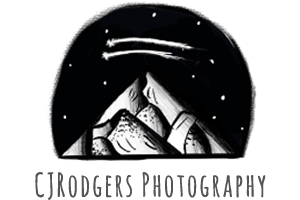 It was STUNNING! 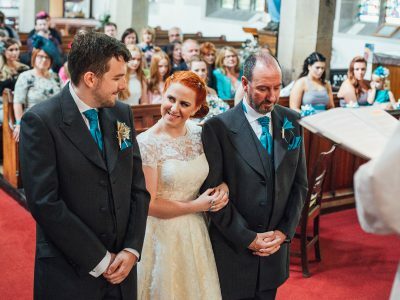 And speaking of stunning, I have to mention how amazing the bride looked. 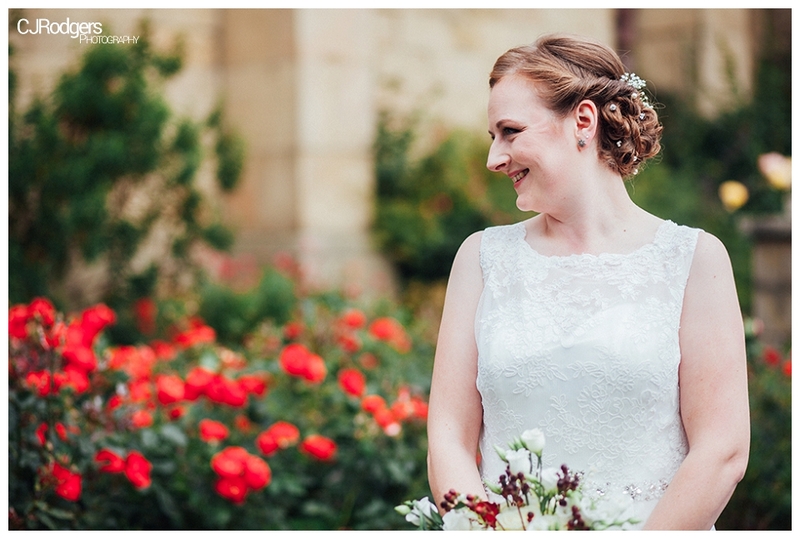 Kat wore a gorgeous lace dress, with a diamante belt and had her hair swept up, decorated with wild flowers and pearls. 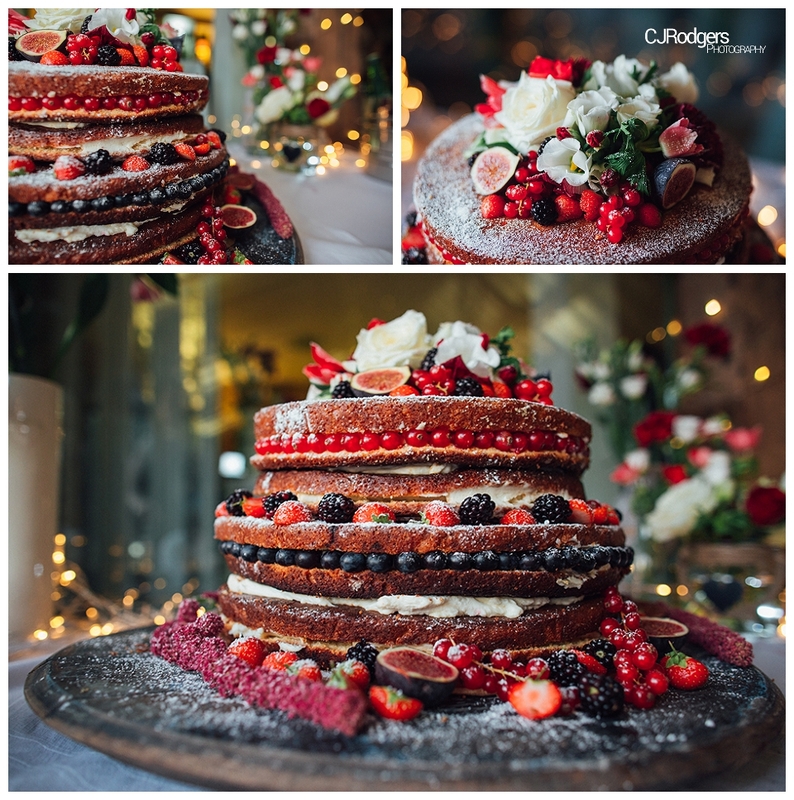 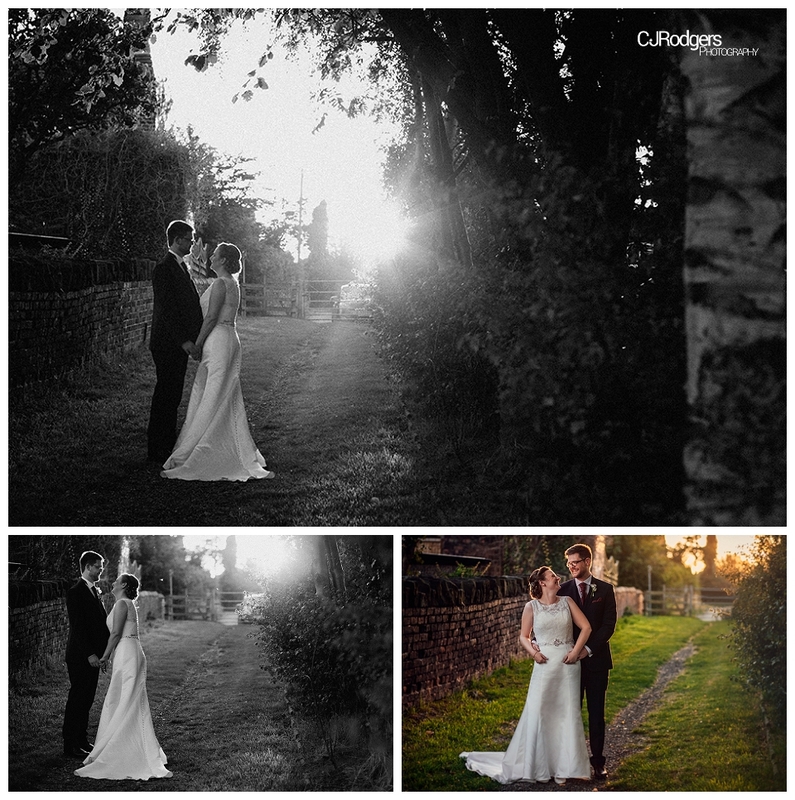 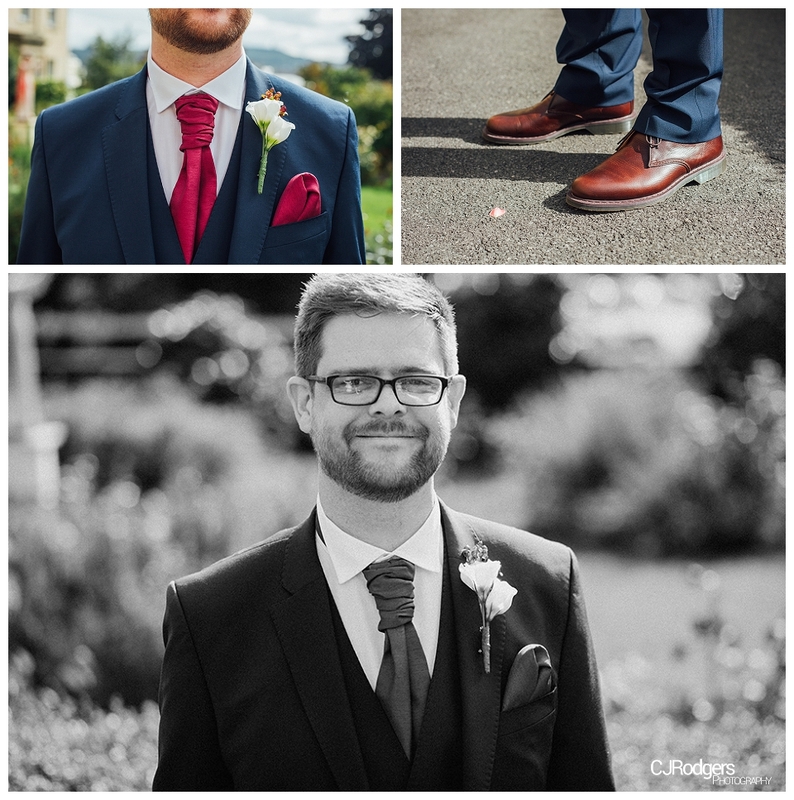 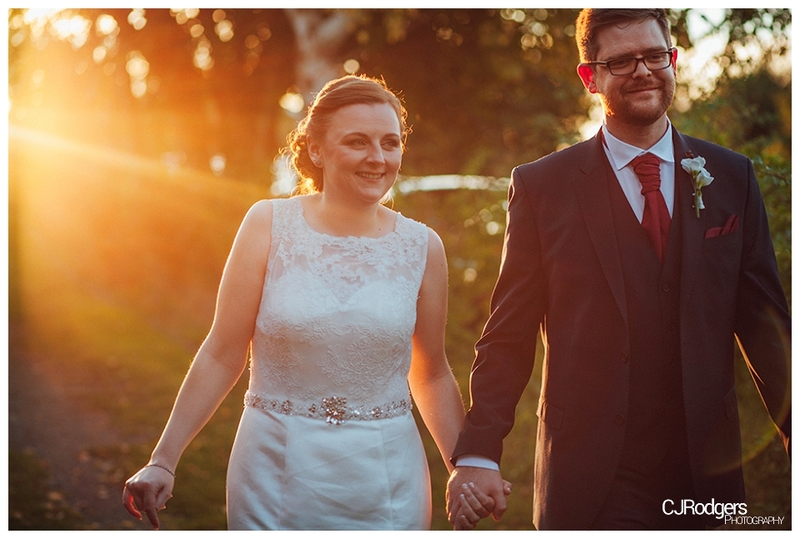 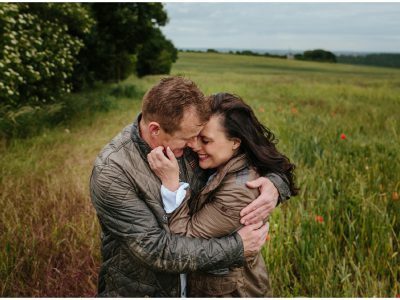 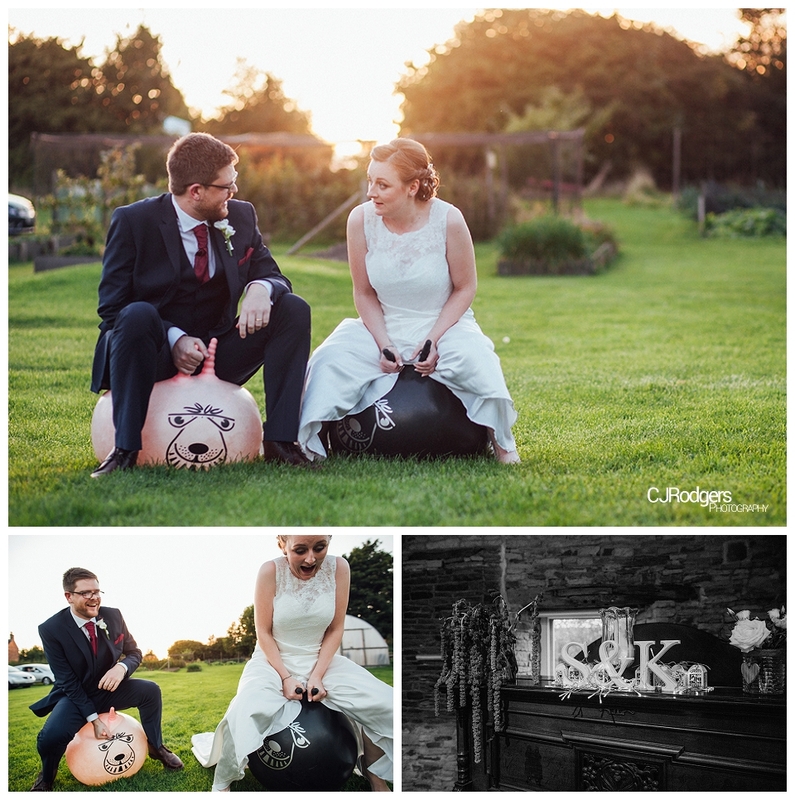 We managed to capture some natural bridal portraits of the couple before the speeches and again afterwards where we stole the couple away during golden hour, the shots are worth it though – see below! 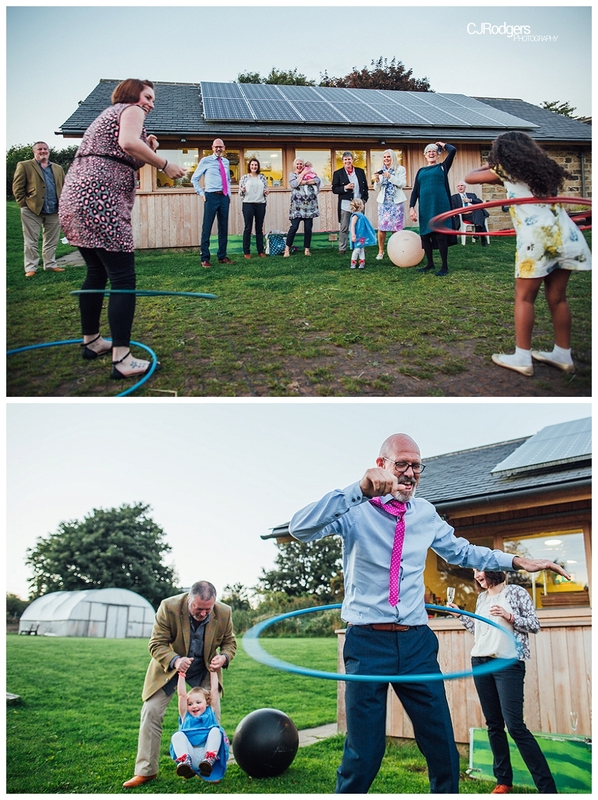 Space hoppers and garden games always go down a treat and it was great to see Sam’s Dad joining in the garden antics – check out the pic below of him showing off his skills with a hula hoop! 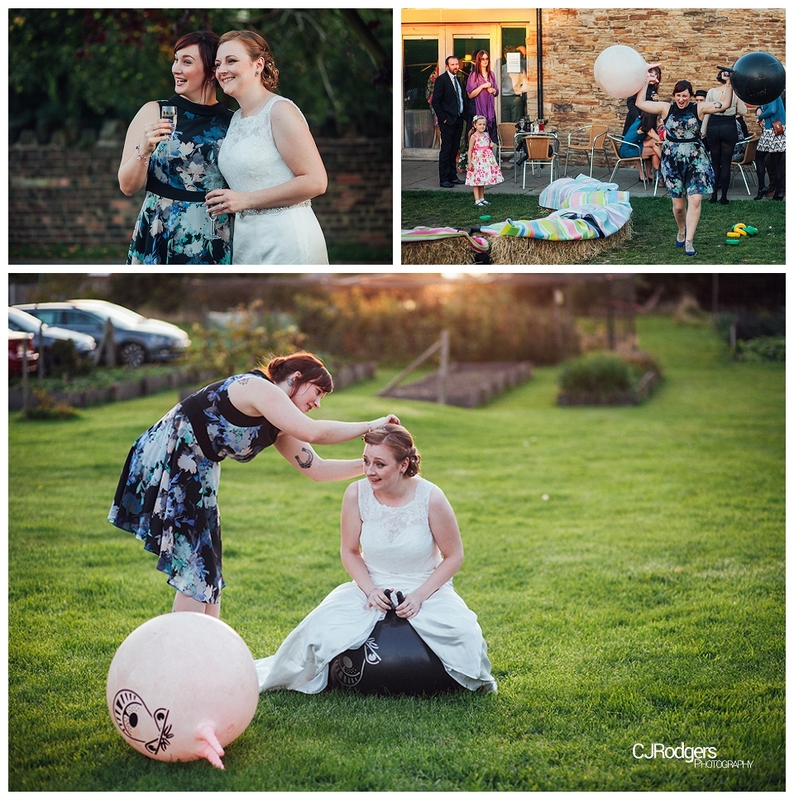 We left the party to enjoy the rest of their evening drinking and dancing the night away. 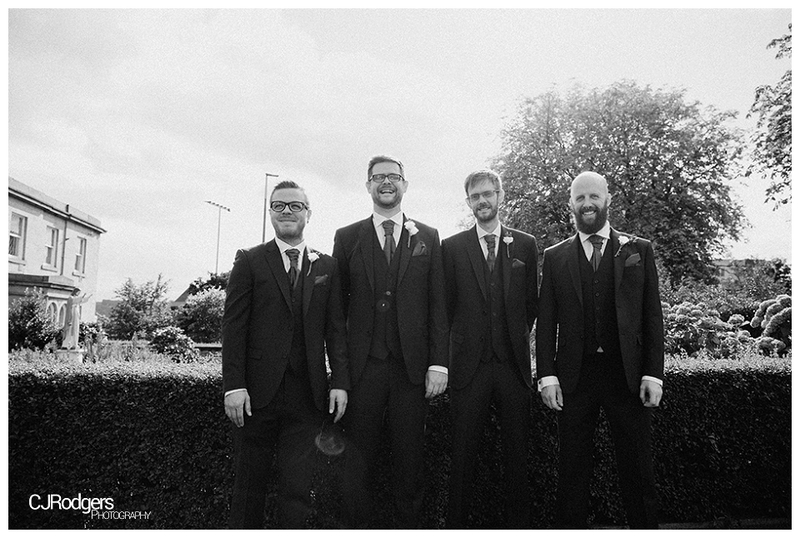 Thanks so much for having us guys!